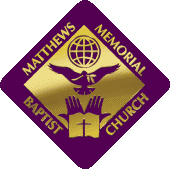 Matthews Memorial Baptist Church provides multiple options to make a financial contribution. You can click here, register, and setup one-time or recurring donations with your debit or credit card. Text MMBCDC giving to 77977 to download the PushPay App. At any time, you may select the online giving link and click "Download Statement" to receive your contribution statement.